Wednesday, Sep. 19, 2018, 10 – 11:30 a.m.
Children listen to stories, sing songs and do simple arts and crafts with their caregivers during the group time. There is also play time for children to explore various toys and play activities. Through this group children are being prepared for preschool and kindergarten learning environments, as well as building relationship with other children. Caregivers also build and strengthen connection and communication with their children, and connect with other caregivers in the community. The Kaleidoscope play & learn group provides a fun and age-appropriate learning environment for 2-5 years old children. 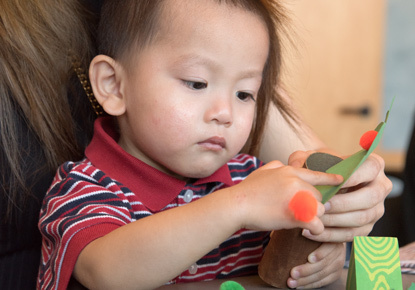 Kaleidoscope play & learn is a bilingual program offered in English and Mandarin.